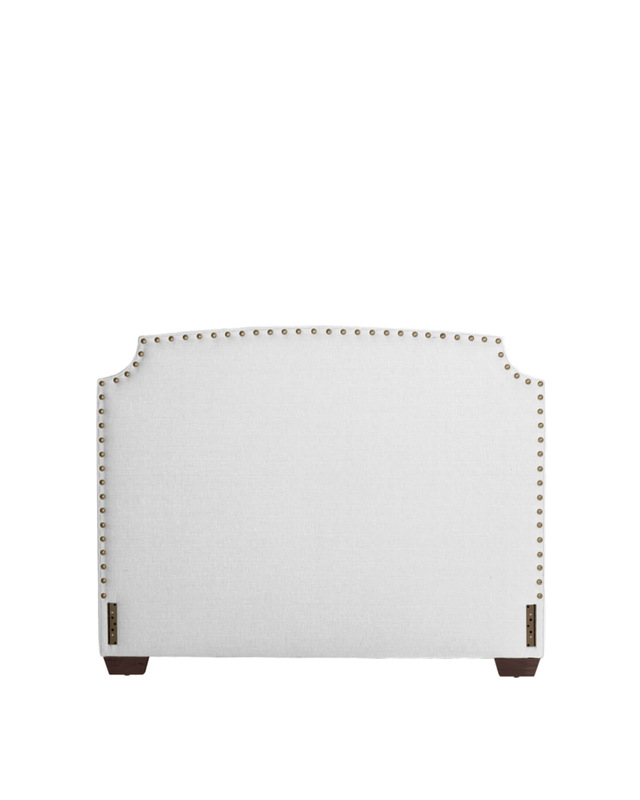 Fillmore Headboard with NailheadsFillmore Headboard with Nailheads, alt="Fillmore Headboard with Nailheads, "
Print Elegant simplicity that works in every space, in every fabric. This classic style is just formal enough – and anything but fussy. Box spring and mattress required with the bed. Box spring rests on a ledge recessed 5.75” from the top of side rail. If you prefer to limit the visibility of your box spring over the rail, we recommend a low-profile box spring. Cal King: 78"W x 50"H.